On-Demand House Calls. Covered through OHIP. 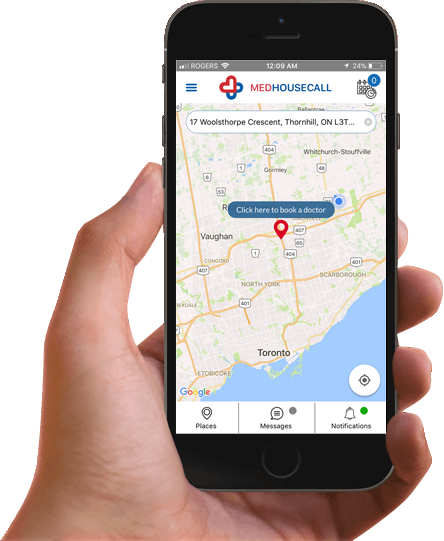 MedHouseCall is currently only available to the residents of Ontario, with other provinces coming soon. Launching across Ontario! Download the app to be notified when we're in your city or town. On-demand or on your schedule. No additional fees for house calls. Why wait in line? Enter your phone number to receive a download link via text message. When you’re too sick to get out of the house. If you’re feeling under the weather and don’t feel like getting out and waiting in line at the doctor’s office, let the doctor come to you! When you’re mobility isn’t the best. If you’re having troubles getting around and don’t want to struggle making your way to the doctor’s office, our doctor’s will be at your door! When someone you love is sick. Is your spouse, child, parent, relative or anyone else you care about in your house feeling under the weather? Our doctors will come to your house and help them also! When there are just not enough hours in the day. Not enough time to spend hours waiting at the doctors because you have a million things to do? Keep doing them while you’re we send the doctor to you! When you need a sick note for work or school Were you feeling under the weather and need a doctors note to prove it? Let our doctor come to your house and get you what you need. When you need a prescription. 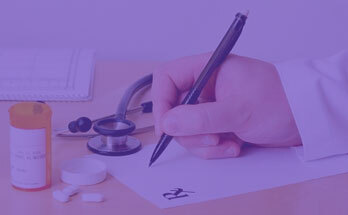 Your MedHouseCall doctor will provide you with the prescription for medications that you need on their visit. It’s like the walk-in clinic coming to you! Here are some of the common conditions our doctors can treat. 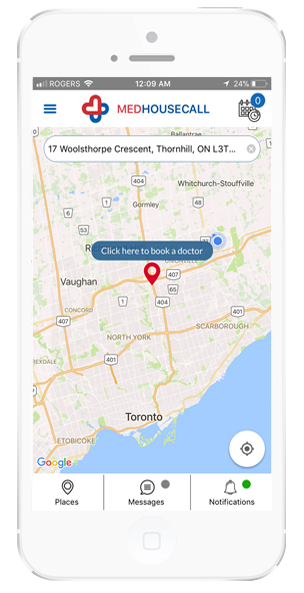 Visit our website www.medhousecall.ca to register and download the app. Set up an onboarding call with our team to help get you live. Select the radius in which you would like to receive house call requests within. Accept or decline an incoming appointment request. If you accept, set your approximate arrival time. You can communicate with your accepted patient via our in-app chat feature, or you can simply click to call them. Pack your bag and off you go! Simply click a button to get step by step driving directions. When you have completed your house call, mark it as complete within our app to notify our safety monitoring system that the visit was successful. You also have the ability to rate your experience of that patient encounter. Once the house call is complete, enter the DX code and your invoice will be submitted to the ministry with the standard house call codes. You also have the ability to add additional service codes for any additional services rendered. Our expert team will manage all billing and rejection handling. 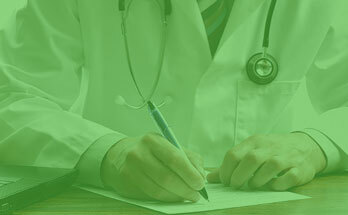 Enter your clinical notes into our province-wide centralized EMR. The patient file will be pre-populated for you, and previous patient records will be available for you to review. We use Juno EMR, which is based on the Oscar EMR platform. Your visit is 100% covered through OHIP!No need to worry about being able to afford the care you need, we take care of it all for you! 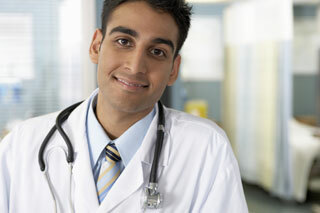 Get Quality Healthcare.Our Doctors are verified to be licensed in Canada and in good standing. Why run around when you’re not feeling well in the first place?If you’re sick or you’re in pain the last thing you want to do is run around and wait in queue at a doctors office. Relax, let our doctors come to you! Save your valuable time!Life is busy enough. Can you think of more productive things you can do with your time rather than sit in a waiting room? Make it easier on the kids and elderly.Kids and elderly may find it bothersome to go to the doctors office. With MedHouseCall, not anymore! Get a doctor to come to you now. 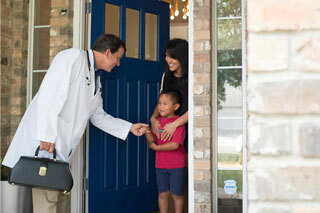 Get healthcare to your door for you and your entire family. Download our app to get started.